Short-term rentals include a home or portion of a home listed on a home sharing service that hosts someone for less than 30 days. As of December 2017, there were more than 14,000 active listings within the city of San Diego, according to a privately funded study. Mission Beach, Pacific Beach, La Jolla and Downtown have the highest number of active short-term rentals. 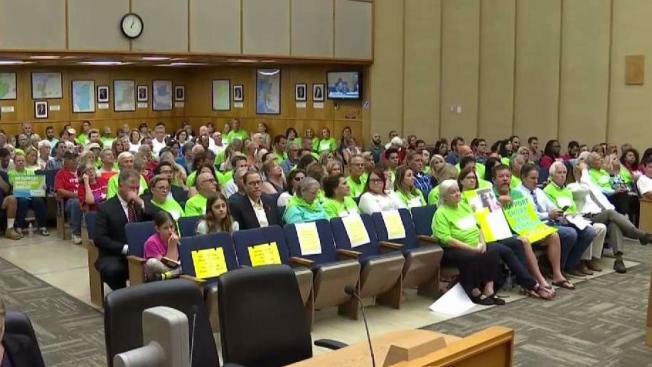 The San Diego City Council voted 6-2 Wednesday in favor of regulations passed two weeks ago on who can operate a short-term rental within city limits. 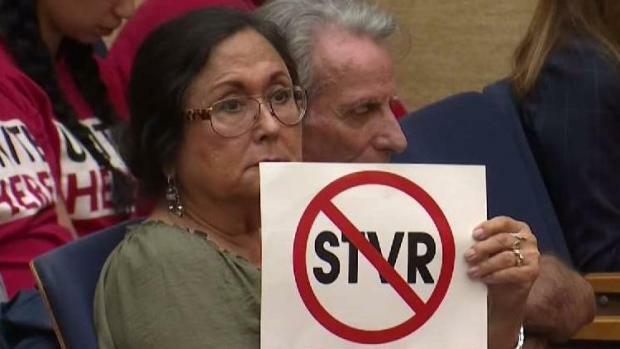 Despite passing strict short-term vacation rental (STVR) regulations in a 6-3 vote on July 17, the San Diego City Council had to read and approve the regulations once more before the ordinance could become law. Before public comment was heard or the vote was held, some council members questioned whether the meeting was even legal. The questions of legality stemmed from a clerical error on the meeting agenda. It included an exemption for the Mission Beach area proposed by Kevin Faulconer that was later amended. NBC 7's Megan Tevrizian explains how an agenda mistake may have put the city council in violation of a law enacted to ensure transparency among elected officials. City Attorney Mara Elliot informed the council of the mistake and said resuming the meeting could be a violation of the Brown Act, a law meant to promote transparency by elected officials and local government, which could lead to litigation against the city. 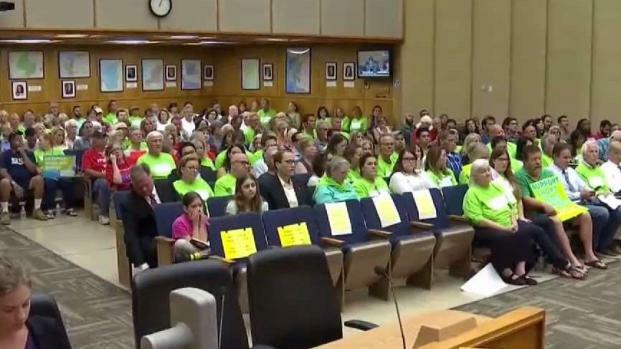 The concern is that vacation rental owners in Mission Beach may have seen the incorrect agenda and thought they didn't have to come to the meeting so that their voices could be heard. "I already filed one Brown Act violation for the last meeting and I'll be filing another one tomorrow," Nancy Kramer said. She owns six vacation rentals in Mission Beach. "I can't believe they have such blatant disregard for the process of the citizens to be able to speak." The meeting was delayed for about an hour but eventually resumed. Council President Myrtle Cole cited scheduling conflicts and courtesy to the crowd as reasons the meeting continued. District 7 Councilman Scott Sherman called the meeting a waste of time and said the City Council should have erred on the side of caution. It commenced with public testimony at around 2 p.m., and hundreds of people argued for and against the nee short-term rental rules for hours. So many people showed up to speak that three overflow rooms had to be used. A second and final reading of proposed regulations for short-term vacation rentals is expected today. NBC 7's Melissa Adan reports. Under the plan, proposed by Mayor Kevin Faulconer and amended with proposals by Council members Barbara Bry and Lorie Zapf, residents may be issued a license to operate a short-term rental for their primary residence and one additional license for a dwelling unit on the same parcel as the host's primary residence. This would end the practice of out-of-town property owners using the short-term rental industry to profit from homes in San Diego. The approved regulations require operators to register with the city, secure a Transient Occupancy Tax (TOT) certificate, obtain a Neighborhood Use Permit for dwellings with four or more bedrooms and comply with a Good Neighbor policy, including posting local contact information on the property being rented. Anyone who operates a short-term rental must pay local tourism taxes and charge a nightly fee of $2.76 that would go towards affordable housing, under the proposal. Current short-term landlords will not be grandfathered in nor compensated for income lost due to the changes. 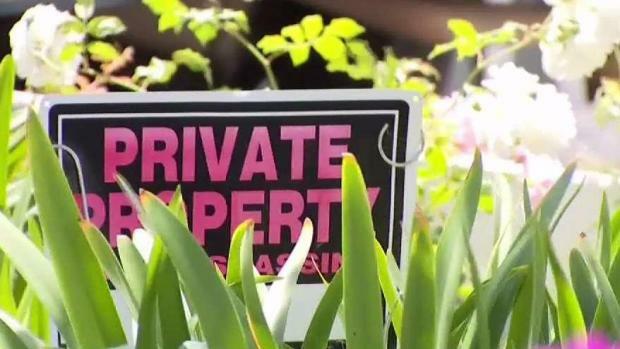 NBC 7 Dave Summers reports on the changes that will take affect after the council votes to regulate the short term rental market. The new regulations will also create a new team of police and code enforcement officers to work evenings and weekends to address code complaints. The city will also create a database to track license and registration and launch a new complaint hotline or mobile app for residents to report violations to the city's rules. "I think that the vote is very short sided because you're basically taking and killing 80 percent of the rentals just to deal with a few bad apples rather than really coming together and hearing everybody's side and honor everybody's side and the history of San Diego," one speaker said. The goal is to regulate rentals from companies like Airbnb and VRBO that some opponents say cause headaches to neighbors and take away homes that could be used as affordable housing. Several groups, including Airbnb, VRBO, HomeAway and Share San Diego, have already threatened to sue the city under the Brown Act, claiming it revised its original proposal after hearing public comment. Click here to read more about enforcement and compliance rules. Complaint calls will be received 24 hours a day, seven days a week and an online portal will be created to report violations. The first notice will be a warning. The second notice may result in a citation. A licensee who receives three notices in a 12-month period may have their permit revoked. The council has failed to adopt short-term rental regulations before. In December 2017, more than 100 members of the public shared their opinions at a marathon 10-hour meeting. 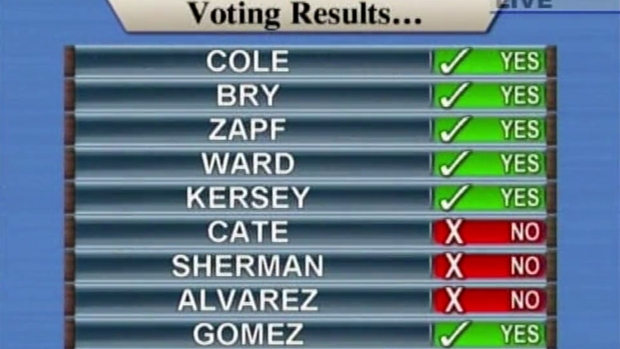 Councilman David Alvarez voted against the two main proposals, voicing concerns about home-sharing housing permits. In Pacific Beach and Mission Bay alone, there are 3,100 short-term vacation homes available for lease. Here is the city's main page for information regarding short-term rentals in San Diego. 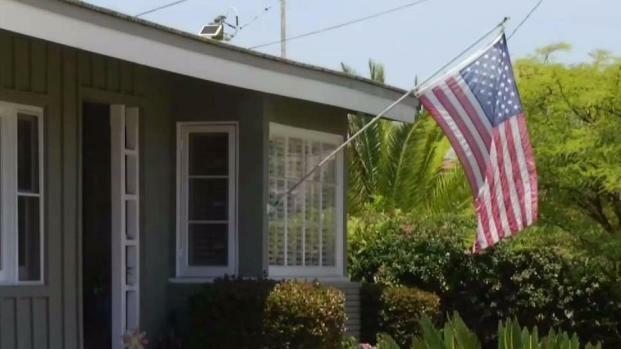 NBC 7 Artie Ojeda reports on the third attempt by the San Diego City Council to come to some agreement on how to handle short-term rentals within city limits.